My kiddos are just beginning their third week of school. My daughter is entering first grade and my son fourth grade. Last year when my daughter started kindergarten she begged me the night before to let her stay home. She was frightened and scared and didn’t want to go to a new school. My daughter is pretty shy and tends to scare easily and sometimes has a hard time standing up for herself. I remember crying after I put her on the bus that first day, it was miserable. She changed schools again this year because our school district has a centralized kindergarten. You might be thinking that she begged me not to put her on that bus again… but you would be wrong. She was excited about school! Why? Because of her kindergarten teacher Ms. Bowser. 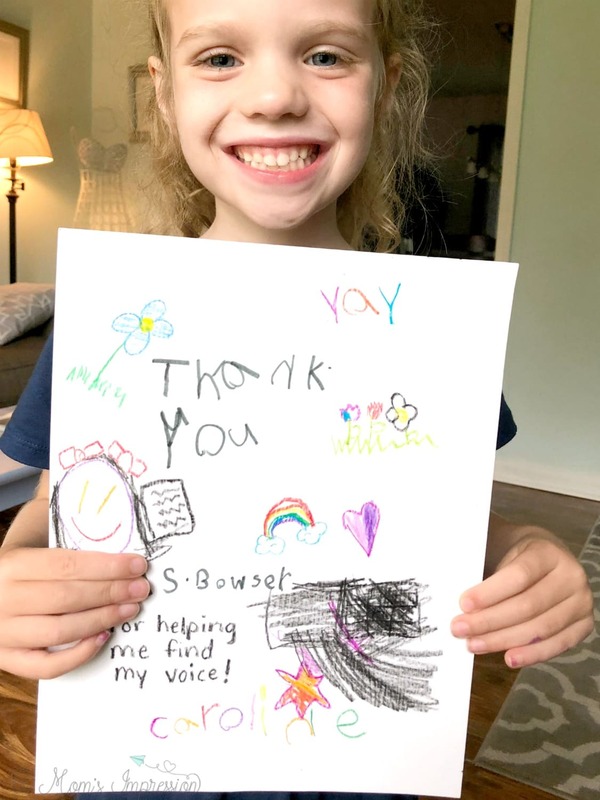 Ms. Bowser took my shy, timid girl and gave her the confidence she needed to get over her fears. The climate of that classroom made my daughter feel comfortable and her fear of speaking up started to diminish. 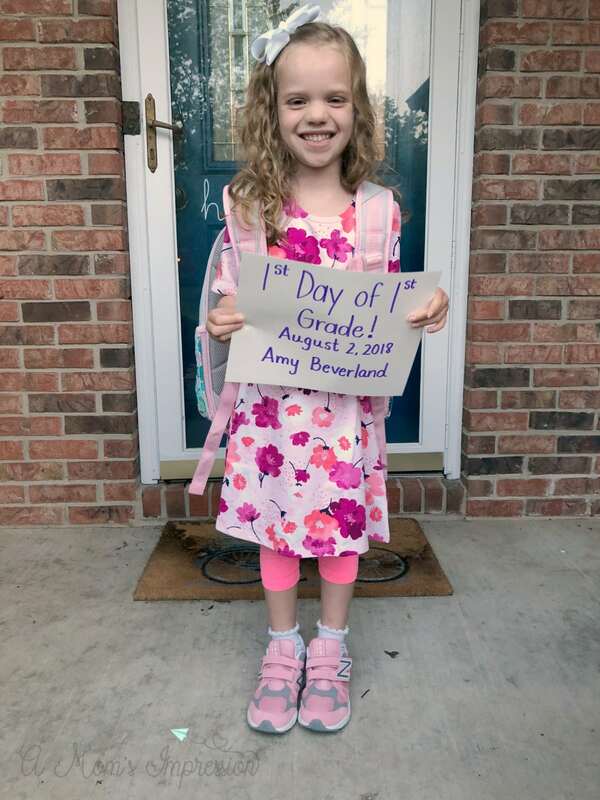 Toward the end of kindergarten, Caroline was raising her hand and sticking up for herself if she needed to. The difference was amazing. This summer my daughter talked to people. She used to be so timid and shy that she would just hide behind me and not answer anyone when they asked her a question. I attribute it to her teacher. A teacher can make a huge impact on a child’s life. I still get messages from parent’s telling me that my old students talk about their time in my class all these years later. 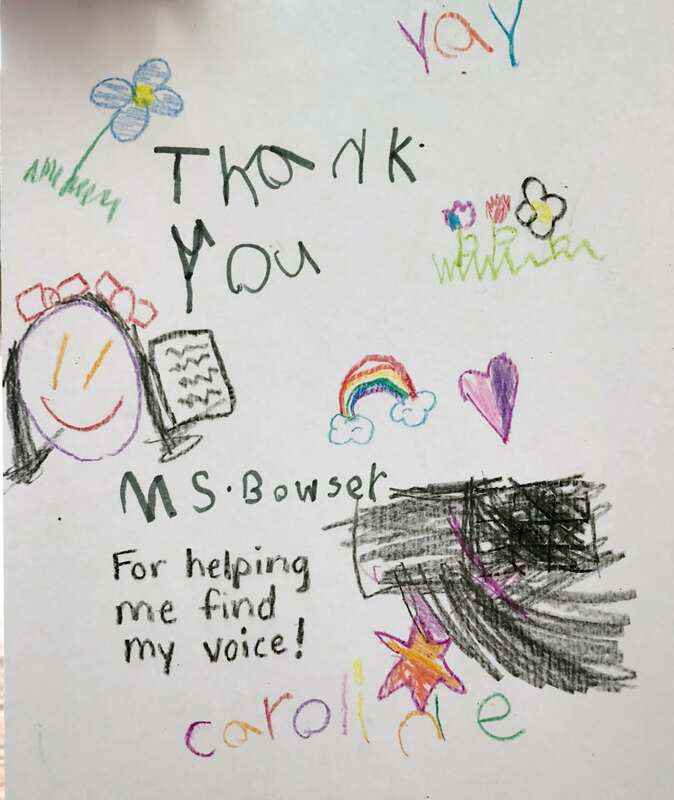 Those messages and notes mean the world to me, and now I can do the same for the teachers in my kids’ life! Speaking of prizes, check out the amazing prizes that Crayola is awarding. And one grand prize finalist with get the amazing opportunity to have his/her thank-you note featured on a special box of Crayola Crayons! 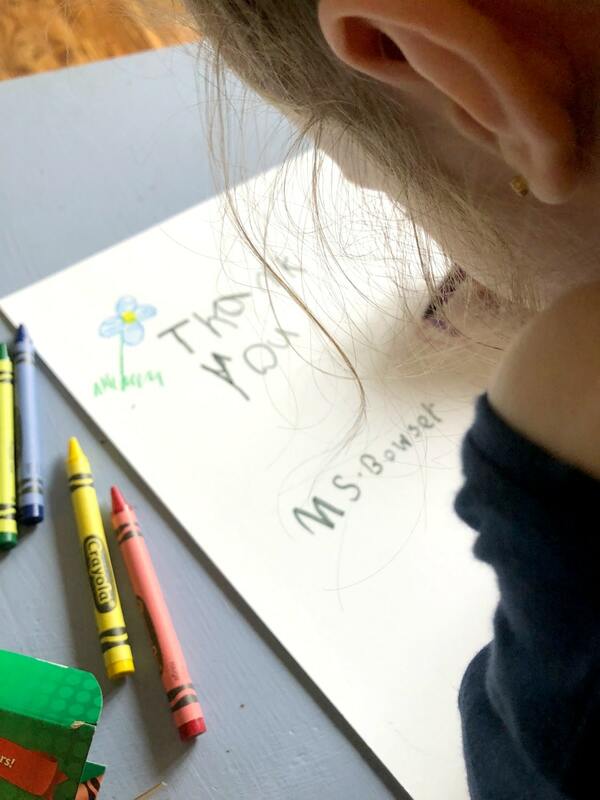 I encourage you and your kids to thank their teacher and upload a thank you note today! Who knows, maybe your note will be the one that is featured on a box of Crayola Crayons!